Shayne is a presence facilitator for The Ariel Group. 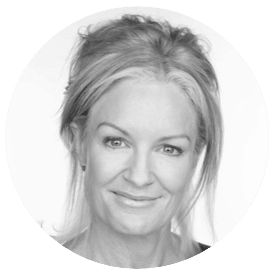 Shayne began her working sailmaker and then in the media industry - working with magazines, newspapers as a journalist, then in radio and film production before moving to Western Australia to study at the Western Australian Academy of Performing Arts. As well as working in the Arts, Shayne has gained a lot of experience in business and management as a production manager, producer and as a facilitator. Sne has worked in health, finance, public service, customer service and more. She is most experienced in facilitating and training in managerial leadership and performance development, constructive communication and performance feedback and coaching. She is comfortable in conversation about management and behavioural development across corporate and government sectors. Shayne has appeared regularly on stage and television as well as some film over the years. Inspector Morse, Home and Away, Wildside, All Saints, Blue Heelers, The Rubicon, Police Rescue, Fire Flies, and the film Blackrock to name a few. She graduated with a degree in performance from the Western Australian Academy of Performing Arts. Shayne is currently completing her Masters in Arts Management at RMIT in Melbourne.